Gifts are very important to most women, not the cost of a gift but the care and thought which has gone into the gift. It is this effort which will shine through and turn your gift into a treasured possession. Which will be appreciated for a lifetime. Choosing the perfect gifts for her can sometimes be a daunting task. But with a little care and attention to detail, a unique and special gift can be found. In this guide we will try to outline a number of factors. To be taken into account, rather than giving the reader a list of generic gifts. Listening carefully to your loved one, can provide you with tons of gift ideas. Women like men tend to talk about the things they like or want. So when you hear them commenting on a particular item, make a mental note of it. Then at Christmas or her birthday you can simply buy that item or a similar one. Plus by doing so you have also shown her that you do in fact listen. By observing your loved one, you will be trying to get to know their likes, dislikes and sense of style. Their wardrobe can be a great place to start. By looking at her clothes, you first should notice a colour theme. Most women will have a favorite colour and this will be carried through their wardrobe, jewellery box and house. 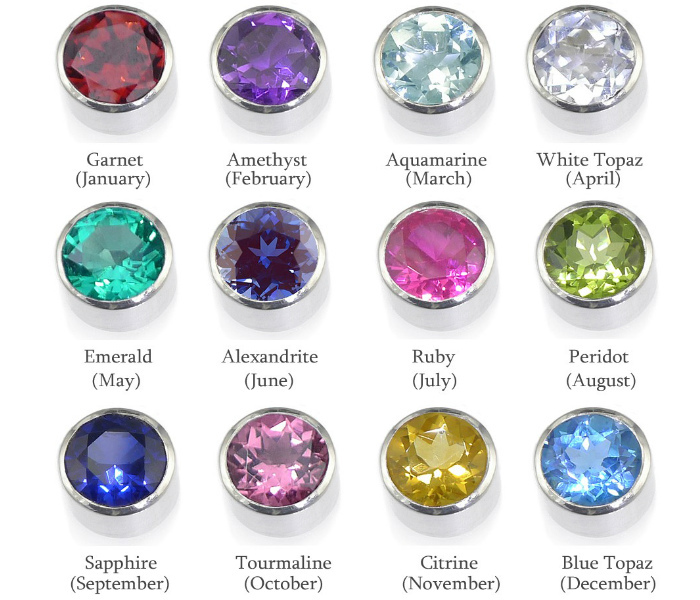 Once you have her favorite colour, this can be for example matched to a gemstone. The next theme to observe will be the woman`s sense of style. Again by looking at her wardrobe, jewellery box and house. You should find a common style, whether that be classic, vintage or contemporary. Also is there a prominent jewellery period, such as Art Deco Jewellery for instance. Your gift should then fit into her particular style. Her hobbies or interests should also be taken into account and your gift could be themed around this interest. Such a gift will also show that you are supportive of your loved ones interests. When people buy gifts, they tend to buy items which they like themselves. The common example of this would be lingerie. Which is sometimes seen as a gift for the giver as well as the receiver. It will show care and consideration for your loved one. To stop and think about their preferences before you purchase any gift for them. When she receives her gift, she should feel that the gift is for her alone because you love her. Don`t be afraid to ask for help, from her friends or family. People in general love to give their opinion on things. This will be no different for gift ideas. A woman`s family and friends will also normally have known her for a lot longer than you will. As such they will have an in depth knowledge of what she likes. They can also be an invaluable help when it comes to finding details, such as ring sizes etc. Is the gift unique and special ?. Is there a specific reason for buying her that particular gift ?. What does the gift say about you, the giver ?. Is the item in keeping with her sense of style and taste ?. Is the item to be associated with a special occasion or is it a spontaneous gift ? Is the item of good quality ?. Special gifts should last a lifetime. Will her eyes light up with delight, when she sees her gift ?. Here at CarusJewellery.Com one of our staff is always available to help, so please feel free to contact us with any of your questions / requirements or check out our frequently asked questions page. We also offer free shipping and a free gift wrapping service, if you wish to avail of this gift wrapping service. Simply email us after you have made your purchase and quote your order number. Your order number will be emailed to you in a confirmation email, after your purchase is completed. You can also connect with CarusJewellery.Com on Facebook for more gifts for her ideas.